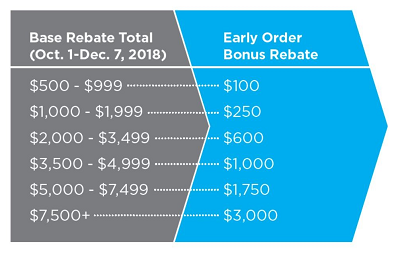 Receiving rebates shouldn’t be complicated. Starting Oct. 1, Pest Management Professionals (PMPs) can begin working toward qualification for the 2019 PestPartners℠ 365 Program from Syngenta, which makes earning yearlong rebates simple for businesses of any size. PMPs shouldn’t miss opportunities to save their companies money just because they operate on a smaller scale. For more information about the value PestPartners 365 can provide to PMPs, no matter how small or large their company, visit www.PestPartners365.com.